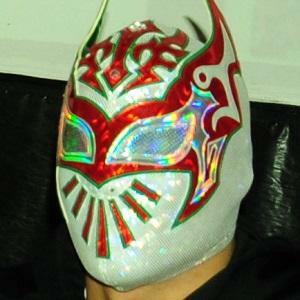 Born Luis Ignascio Urive Alvirde, he was best known as Sin Cara during his time in the WWE and as Caristico in the CMLL. He was also half of the tag team duo Lucha Dragons. He made his wrestling debut at the age of fifteen, after being trained as a luchador by his father and uncle. He also wrestled under the ringnames, Astro Boy, Komachi, Sin Cara Azul, and Dr. karonte, Jr. as a member of Los Mini Psycho Circus. He is the son of Manuel Almanza, whose better known under the ring name: Dr. Karonte. His brothers are wrestlers Astro Boy, Argos, Argenis and Mini Murder Clown. His uncle is CMLL booker Tony Salazar; his cousin is wrestler Magnus. He was tag team partners with Rey Mysterio Jr. in 2012 and 2013.